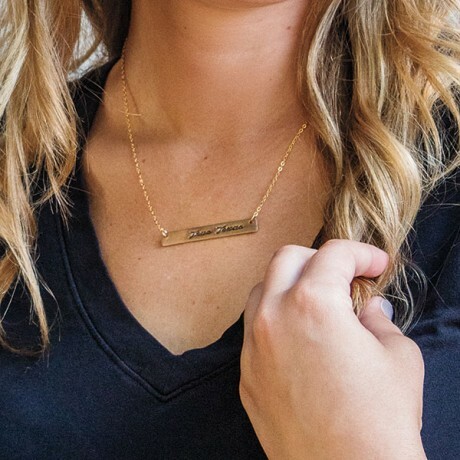 You are sure to love this dainty "True Texas" bar necklace. Each charm is individually handmade and stamped then connected to a 18" bronze chain. ChickeeBoom Jewelry is made from scratch in Dallas, Texas.